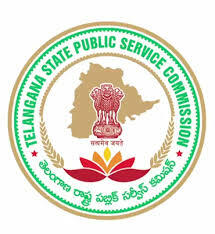 TSPSC Paramedical recruitment 2017, TS Staff Nurse Notification 2017, TSPSC Staff Nurse Latest Notification – Telangana Public Service Commission (TSPSC) has issued a new recruitment notification to recruit 1196 Staff Nurse posts, physiotherapist, 35 Radiographer posts, and other posts in various posts in Health Medical & Family Welfare Department, Insurance Medical Service and Telangana Social Welfare Degree Collages . Candidates who are eligible and interested they can apply online mode by visiting the official site of TSPSC. Applicants must be registered or use one-time registration to apply for TSPSC Staff Nurse Notification 2017. Applicants also check other details related to Staff Nurse Notification 2017 like how to apply, selection process, educational eligibility, salary and more details are given below.